That’s what I’m having today. A little space between things. It’s easier in many ways, isn’t it, when you are flat out busy, because then you have so many things you have to do, you just get on and do them. Of course it’s stressful when you are busy. Tempers become frayed and you don’t have time to do the things you really want, to see or talk to friends and family properly, or to do things as well as you would like, but at least you don’t have that moment of weighing up your options and really looking at what you should be doing. Necessary from time to time, but not easy. I’ve been lucky for ages, in that my projects have naturally moved themselves along so that just as I have finished working on a series of paintings, I have had freelance writing to do, and when there is a gap in the writing I have had a chance to work with Alec on our website. Currently I have several projects just simmering away on the back burner, and I need to finish off a few things. alecarte – just needs occasional tweets to keep things interesting. Check. 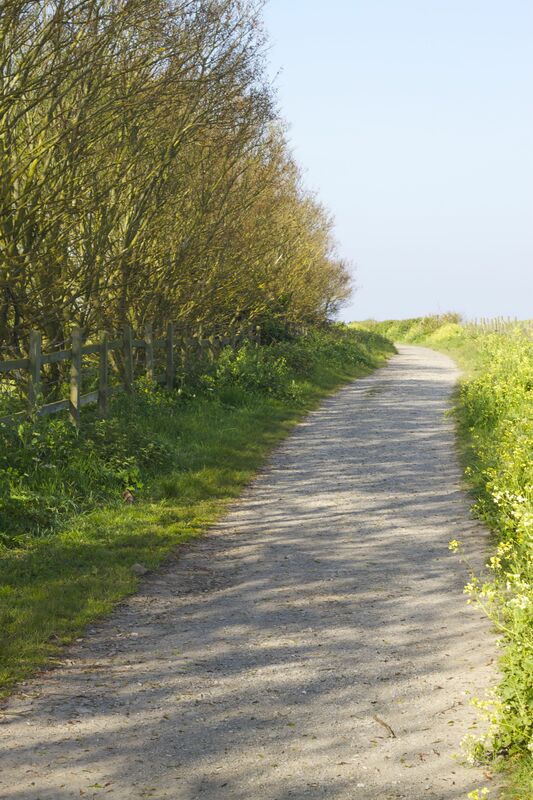 A beginners guide to walking for pleasure – published on kindle. Tweet regularly. Check. Write ezine article on the need to find pleasure in an exercise if you are going to be able to keep up a healthier regime. Check. Complete read through of my second book, and publish. Decisions to make on how to publish – this one needs to be available in hard copy as well as Kindle I think, so a different form of publishing. I’ve done most of the thinking and just need to finish off. That should be the main task for today, obviously, but I need to be in the right mood! Push forward my photography. Try some new techniques and work out the extra kit I need. A couple of filters at least. The Ezine articles are an interesting idea. Alec (my better half) came across them in his reading, and the idea is that you write short articles on your area of expertise, which you then offer for people to use them as they wish. You aren’t paid for the article, but it draws attention to you website/product/service. I’ve had a three of my photography articles published on picturecorrect.com, most recently Can a photograph ever be perfect, which has drawn quite a bit of business to alecarte, and readers for this blog. I’ll be interested to see if referencing my book in an article increases awareness and sales. But all this is really more of the same, and I know by now that I am a starter rather than a finisher. I do love new things to get my teeth into and the thrill of challenging myself to master new skills. So what I really want is something new to start, and that is where the problem of a hiatus day lies. My thoughts are going in circles and inspiration is not forth-coming. Finishing off things is not my preference, or indeed my forte. What I really need is to go for a good long walk to straighten my head out, but it’s been raining quite heavily here. The good news is that the weather is improving, and the forecast for the next few hours is pretty good, so I think that’s my plan made. Good luck with your Sunday! I hope that whatever you are doing it feels like something positive and not treading water! For years (and years!) I have written well, but I have written information for the public where my aim has been to be clear and concise. I have several very good ideas for novels and short stories, but the style I need to develop is very different from my professional style. So I have been loosening up my writing muscles, starting with blogging and moving into books. I had a side-track while I looked at the purchase of ISBN numbers, which is not something I had thought about. Ideally I would have purchased an ISBN, but you have to buy 10 at the cost of about £130 and that seemed a bit much when I only have the one title at present that I am trying out. Good learning, though, that will stand me in good stead when I have my next book ready to go. So, it’s been a nervous wait to see if everything had been done correctly but – da – dah! here it is. Oh – what’s the book about, I hear you cry? It’s non-fiction and it’s called The beginner’s guide to walking for pleasure, and it has grown from ideas that i first explored in this blog, but expanded and developed into a complete book. People are being told (by their doctors, the government and the media) to exercise more and lose weight to reduce the risk of nasty long term illnesses like diabetes and heart disease, as well as some cancers. There are lots of guides being published on the physical side of things – how to walk yourself fit, basically. My point is that unless people find the exercise fun they won’t stick to it, and all the preaching just adds stress to their list of ailments. However, find the pleasure in walking, and it will be something you do willingly and happily for years to come. So that’s what it’s about – how to make walking fun, and what benefits you get if you make walking part of your daily life. Plus some little anecdotes and such like. Please check it out, and if you like it, let me know. And buy it too, of course! I’ve been itching to get out and work on some landscape photography, but recent weather and general business has been against me. 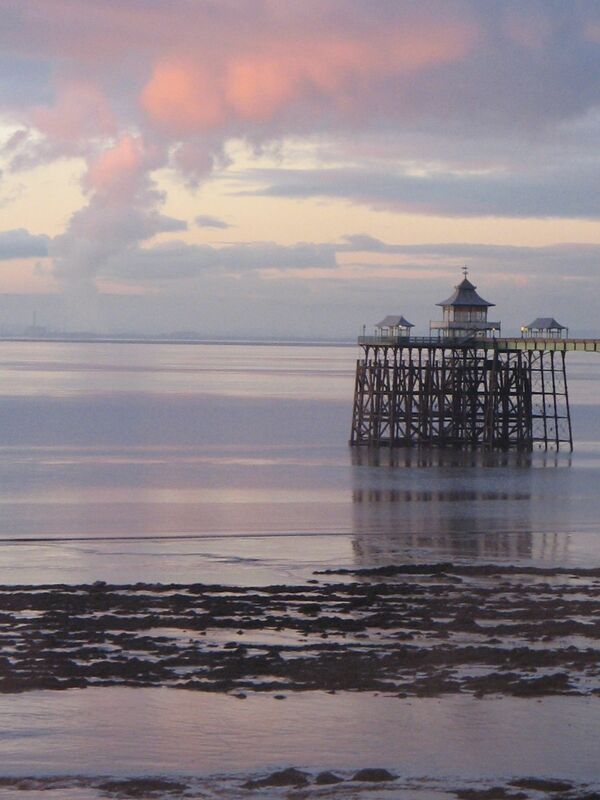 Nothing half as nice as this pink pier which i took last year, but is still one of my favourites. While it’s easy in North Somerset to get a great vista; whether your preference is for sea, atmospheric mud-flats, the architecture of an authentic Victorian pier, or a long view over farmland to distant blue hills; it’s a challenge when there are frequent heavy showers – downpours really – and in between strong winds and/or bright cloudy skies that give a dazzling but difficult light to work in. The early sunrises and sunsets and unpredictable weather make it hard to catch the best of the light. And it’s a funny thing but the alarm doesn’t seem to work when it’s set for very early and the forecast is for rain! Fortunately – or maybe unfortunately – I have had plenty of other things to do. Unfortunate in that I haven’t had the drive or the time to plan how to work round the weather to get the shots I want. Fortunate in that I have had lots more writing opportunities in the last few weeks. I’m now doing some work for my husband’s nephew and am really enjoying it. It’s interesting because it is private sector based, whereas the bulk of my business writing has been for the public sector, and it’s going very well. The trick I have (some people call it a talent, and who am I to argue?) is that I am able to grasp the wider implications of what I need to write quite quickly, so although I will do even better work as I learn more about the business, my contributions are already being useful enough. I’ve also finished the first draft of my first book. I won’t say more about it just yet, but it’s non-fiction and will just be published as an e-book. I’m really interested to find out how that all works. Plus we’ve been busy working on and promoting our websites Alecarte and Magsart. My Magsart shop on Redbubble gets plenty of views, helped by the fact that Redbubble are promoting their new services quite widely. It’s even more pleasing that our start-from-scratch site, Alecarte, is also getting consistent visits, averaging about 100 a day with highs of over 200. So that’s what I’ve been up to, whether you wanted to know or not! Let’s hope we get some more settled and hopefully sony weather before the end of June.